Board members say they want more time to research the impact elevating five police officers would have on overtime and pension costs. 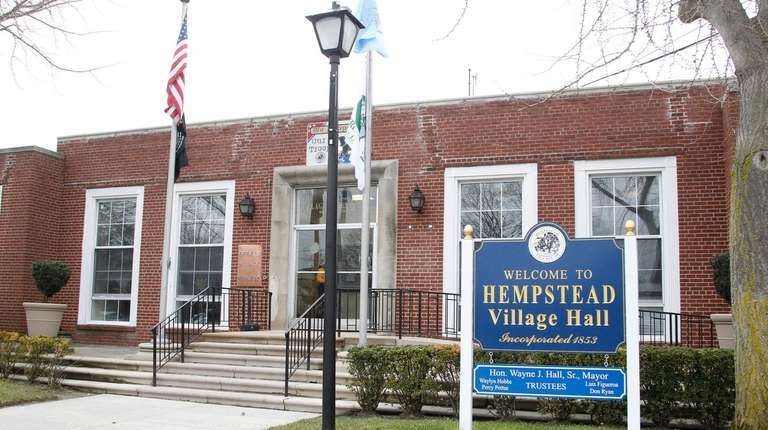 The Hempstead Village Board on Tuesday unanimously rejected promotions for five village police officers, in order to have more time to study their potential impact on the village treasury. The promotions would have made James G. Murphy, Derek Warner and Jeffrey Larssan lieutenants, with annual salaries of $170,500 to $171,200, and Peter Rees and Vito Buccellato sergeants, with $152,400 salaries, according to the resolution. The resolution also included seven personnel moves in the clerk’s office and public works department. The trustees raised questions about the impact of the proposed police promotions on overtime and pension costs. Police Chief Paul Johnson said the village had budgeted for such promotions, and that they would reduce overtime expenses. Trustee Jeffery Daniels said he wanted more time to scrutinize the potential fiscal impact of the promotions. “I don’t understand how, without having all the numbers in front of us, we can know that this is an actual savings,” he said. The trustees said they wanted to delay voting on the police promotions until the next village board meeting on Sept. 18. Because they had already introduced the resolution, however, they were procedurally required to vote down the entire resolution. They then voted unanimously to approve the seven other personnel moves. The police personnel moves were proposed amid internal allegations that the department has passed over black officers in making promotions. Of the five being promoted, Warner is African=American. The department is also facing an investigation into a recent incident in which a white officer found a T-shirt with the words "KKK violate civil rights" above his locker. Mayor Don Ryan said Warner is the only officer among the five who is African American.